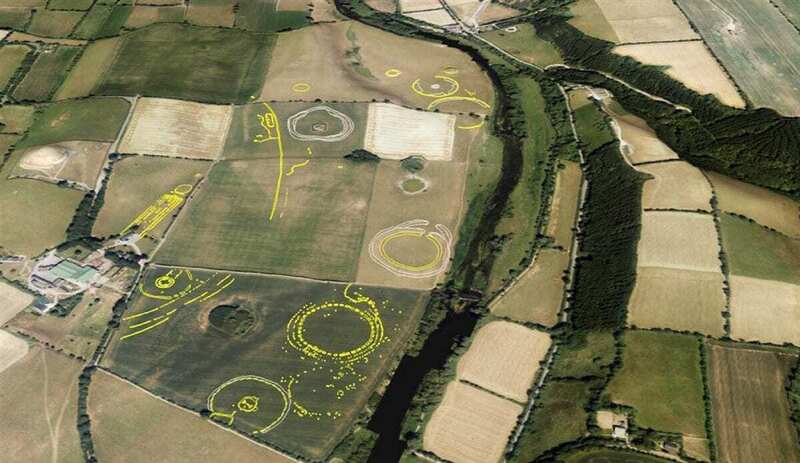 The circular structure, located the Brú na Bóinne UNESCO World Heritage Site, is evidence of prehistoric earthworks and was first observed by researchers with drones. Following the discovery, the National Monument Service of the Department of Culture, Heritage and Gaeltacht carried out extensive aerial reconnaissance including commissioning Bluesky Ireland to survey the cropmark enclosure at Newgrange. Having begun an ambitious national data capture programme in 2015, Bluesky Ireland has captured high-resolution aerial photography of a significant area of the country, with surveying expected to be completed in 2018. Bluesky Ireland is already working with many high profile organisations in the Irish geospatial market including the Department of Agriculture, Food and the Marine, the Department of Culture, Heritage and the Gaeltacht, the Geological Survey of Ireland and the state forestry company Coillte, as well as a host of local authorities.